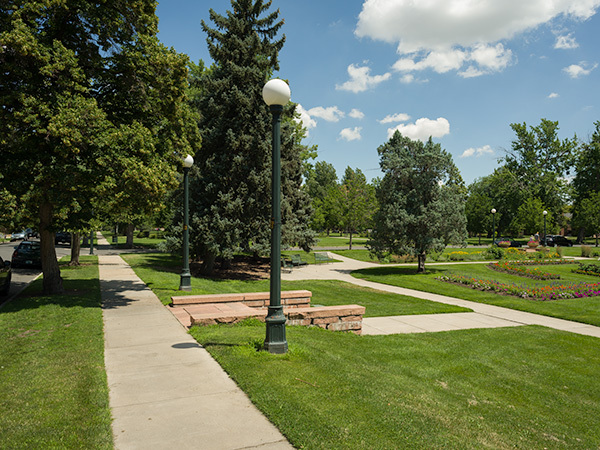 Situated north of Speer Boulevard, the rectilinear park is bisected by East 3rd Avenue. 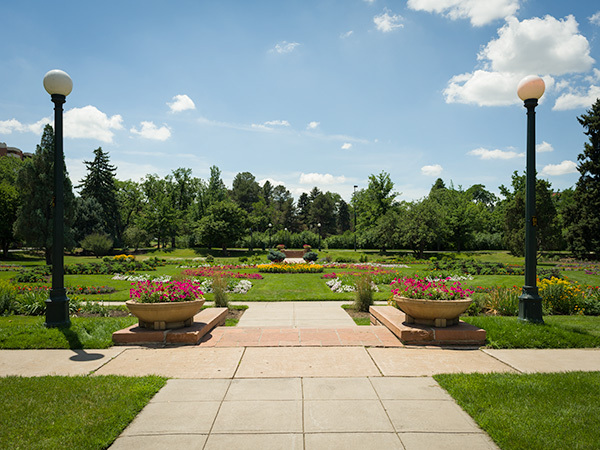 The southern section, visible from Speer Boulevard, consists of a sunken Italianate flower garden accessed by sandstone steps. 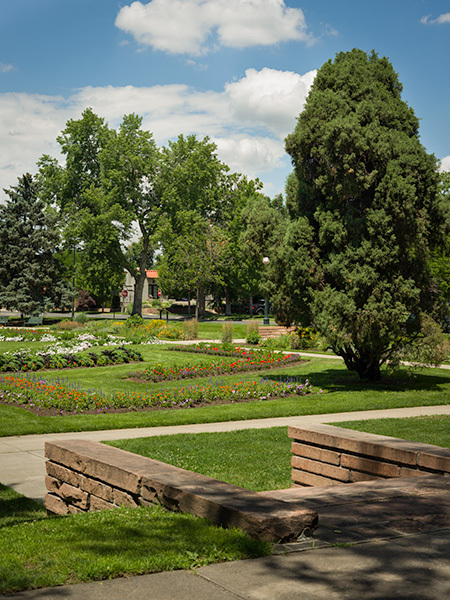 Symmetrical parterres of annual and perennial flower beds radiate from a centrally-located mass of juniper. The corners of the garden are punctuated with specimen juniper, encircled by a walkway, and bordered by dense plantings of spruce and pine. 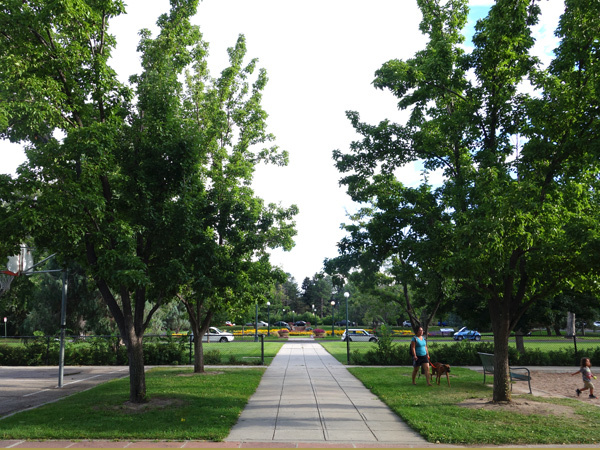 An axial walk extends the processional formality of the southern section into the less formal, recreational segment north of 3rd Avenue. 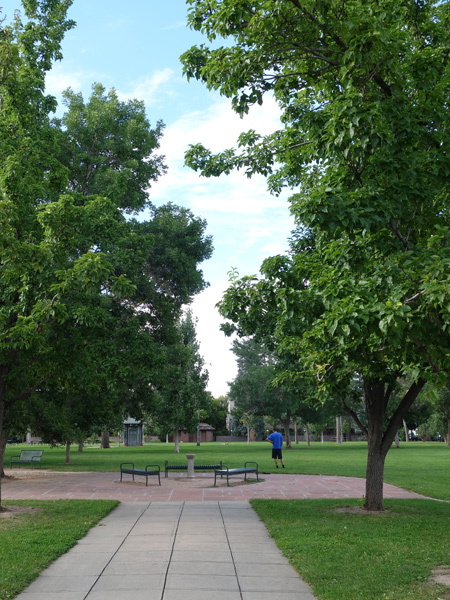 Basketball courts and a playground flank the walk, which terminates at a paved plaza with benches and a sundial encircled by a grove of cottonwood. 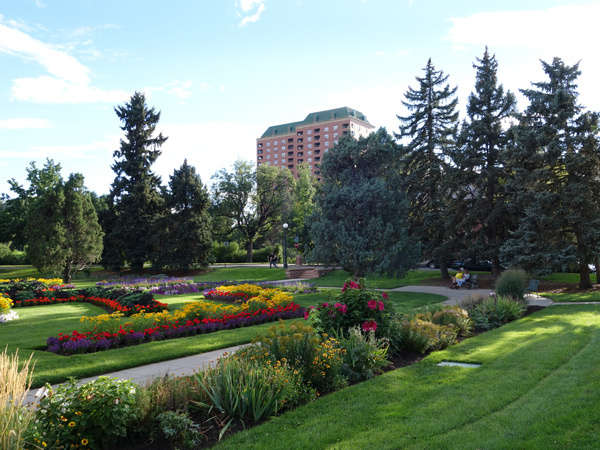 Beyond this section, an expanse of open lawn is surrounded by a forest of flowering shrubs, maple, pine, and spruce. Alamo Placita Park provides framed vistas of Hungarian Freedom Park to the south, also designed by DeBoer. 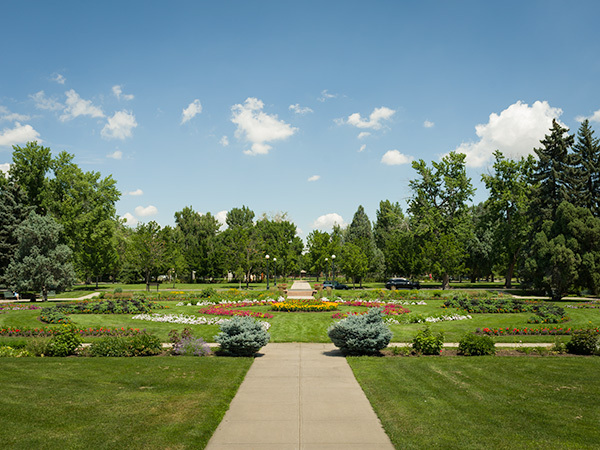 The park is a contributing feature of the Denver Park and Parkway System listed in the National Register of Historic Places in 1986.